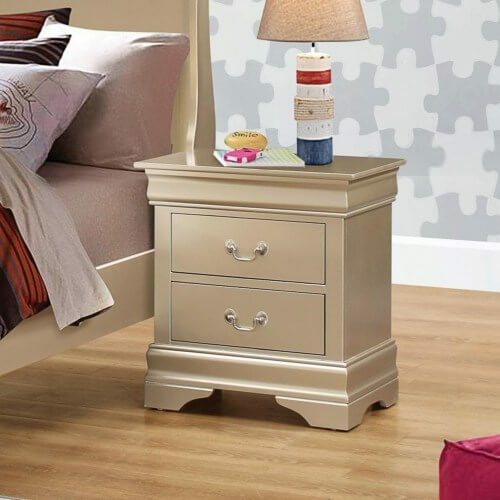 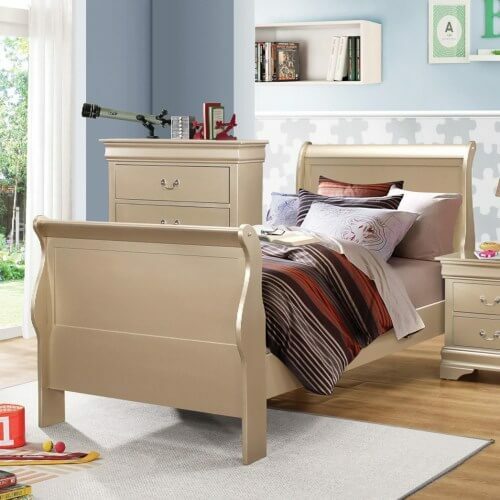 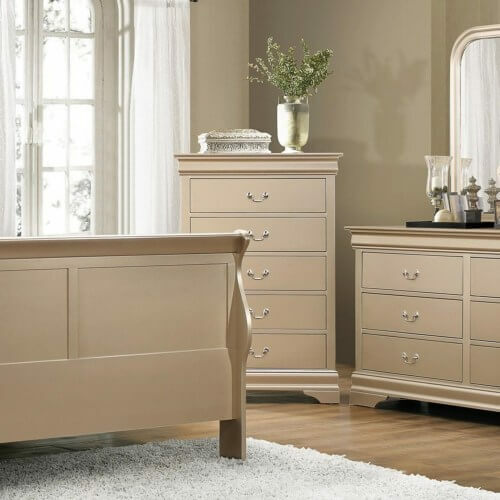 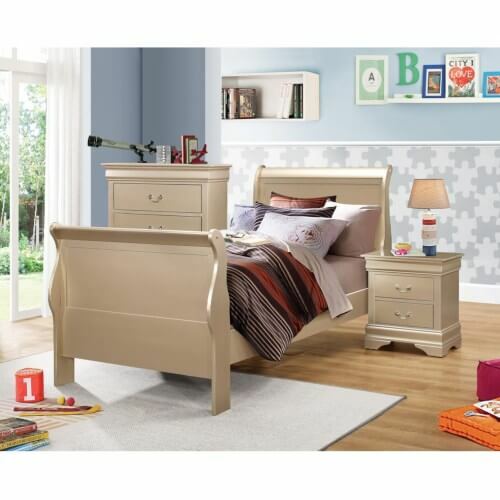 Bring home the casual elegance of the Hershel Louis Philippe bedroom set. 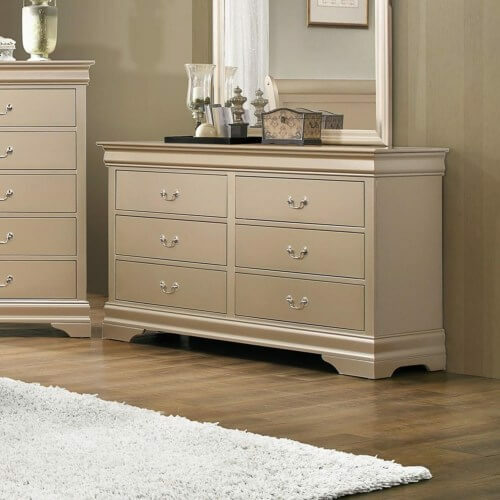 Case pieces include center metal Glides, felt lined top drawers, and dovetailing for durability and function. 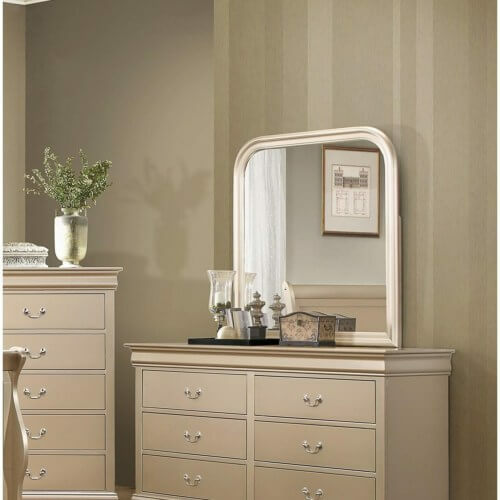 This option is finished in sparkling metallic champagne and features polished chrome metal handles.